This issue’s cover illustration is from A Song for Ella Grey by David Almond. Thanks to Hodder Children's Books for their help with this cover. By clicking here you can view, print or download the fully artworked Digital Edition of BfK 208 September 2014 . Billy longs to ride round the streets on his father's milkcart drawn by Mr Asquith, the horse. But it doesn't look likely. War has been declared and his father has left to fight in France. Life changes, but Billy still has his mum, his little sister and his dog. Then a bomb falls on the shelter. Can Billy keep his little sister safe and find their mother. He will have to be brave and resourceful. This is an enjoyable and very readable addition to the shelf of novels about World War II. Set firmly in London - indeed, specifically in Balham - during the Blitz, it does not feature daring escapes across foreign territory. Rather it is a realistic portrait of what it must have been like to live in London at the time. 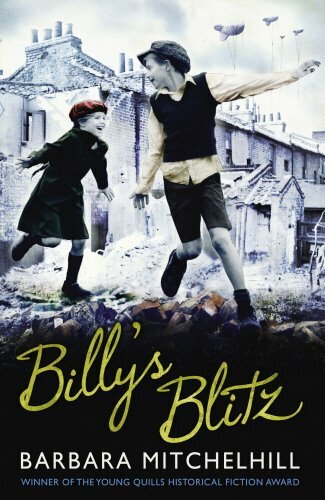 Billy is a very ordinary boy, someone young readers will easily recognise. Though details of his life may be different, and the situation in which he finds himself extraordinary, nevertheless it is not unimaginable. Billy's reactions are both human and believable. The London setting adds to the immediacy; it would be easy to follow Billy's journey on the map. Recommended.